Jay. Biggs. Dame. These three names will forever be embedded into our culture. Their “Dynasty” era, which claimed it’s territory in the late 90s and early 2000s, a time when Hip-Hop merged into the world of pop culture, has manifested into a blueprint for any creative who desires to live and work by their own rules. MK: Congrats again on such a phenomenal partnership. It’s something that, definitely from the outside looking in – the synergy seems seamless. But I also know, too, that this is a long process. I saw on Instagram, you shared that you had a meeting one year and made a crucial connection this past year, so all these different things added up over time.Talk to me about, what you had to learn and develop about yourself and about the D’USSÉ brand while you were waiting on the deal to finalize. Kam: I think it was, you know, for me with these things, this has always been a ‘learn as you go’ kind of process. And the humbling part of that process, is always, you can be supremely confident in who you are, what you are, and whatever it is you bring to the table. But unless that translates to the other side, whoever you’re negotiating with, it’s a little bit of work to be done there. So we thought about what we always knew to be true about ourselves and we had to make other people see that – and by other people, I mean other brands. So it took some time. 2016 and 2017 were our biggest years by far. During that ride for us, we got to thinking what would this look like with some real alignment and like a real engine behind the movement? We thought about who we align best with, and clearly it’s not Hennessy. And that’s no disrespect to Hennessy. I don’t want this to be a shaming of them or indictment of them. It’s just, as we all know, the only people who really get us is us. We went back in, had the meetings. Luckily, we [ maintained] great relationships with those guys over there [at D’usse] forever. Then after that, we got back to the drawing board and came with something that we felt worked [for] both sides. Kam: Yea, it worked for both sides and, now, the two of us being in a different place than we were two years ago. They’re growing, we’re growing. Like, why not do it together? To be a brand, as you know as well, it’s very hard for a brand to make that connection culturally, right? To make that connection to a consumer. We do it, probably, in a way it’s never been done before. And that’s new to a spirit brand. So after we got into all that stuff and got to the nitty gritty of it, it was something that we felt was time. And now the hard part was coming to a place that both sides were comfortable with. MK: You mentioned something there that I definitely want to circle back to. The first thing that jumped out immediately: relationships and maintaining those relationships. And of course, that’s been at the foundation of what you’ve built, especially with your team over these past five years. 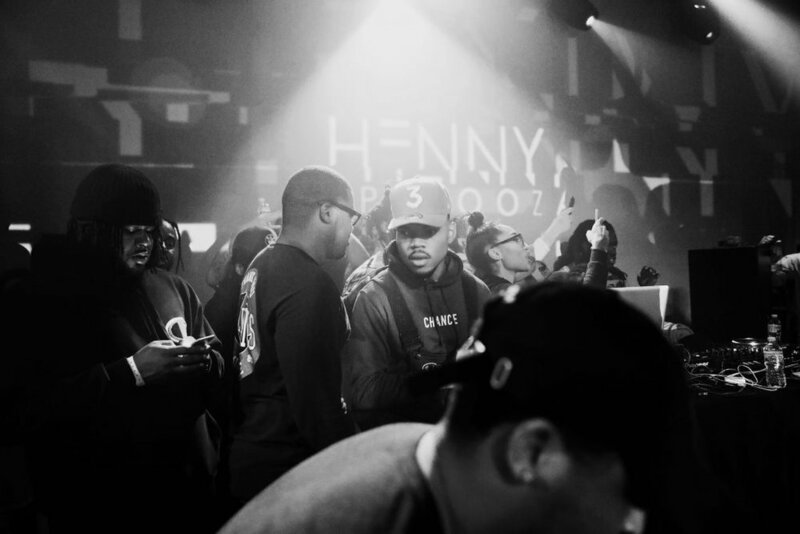 And I mean, I’m sure even before Hennypalooza came into existence. So how do you maintain these business relationships? We have our peer level relationships, of course, and then we have our OGs, right? How have you been able to maintain those relationships with the OGs, who are really in the place to push what you’re doing to the next level? Kam: I think it’s kind of two-fold. One, it’s always remaining yourself, being true to who you are because that’s why they like you in the first place. But also, even if you’re not working together, it’s always about staying in contact and staying on the radar because these people, for all intents and purposes, are super busy, right? So like, things can be on their plate one day, gone the next. But for me, I think it was always important to just maintain that level of rapport with a Lenny S. You can always go, ‘This is my OG, this is my bro,’ but Lenny S. is one of those few people that always looks out for whoever he can. I’ve always thought that, and I’ve known Lenny S. for God knows how many years, but it was literally like harping on that really strong relationship that I have and just the business dealings I had with others in the past over there and to just kind of bring it all together. That’s what it was for me. The second, and most important thing was, speaking what I wanted to happen into play, you know? Because with people like that, they hear stuff all the time but you’ve got to make it known that you actually want something. When I re-approached the conversation with Lenny S., I was very clear in my intent and he was like ‘okay so you’re serious’ and it’s still a thing so let’s get it done. And it didn’t take long at all to get it done, which, as you know with anything like this, it can take half of a year to a year to get something done. But that relationship was key. I would say our relationship with Lenny S. was the real binding factor. MK: Let’s talk about this gap of having to wait years for something to officially pop off. I think especially in this social and digital media age, we often fall into the trap of instant gratification. ‘Oh I met so-and-so last week, so, next week I’ll be featured on whatever.’ We do not like to wait. It’s a fine balance, especially for us as creatives, we are so in this space of making things happen but to a certain extent, you also have to allow the process to be the process. My friend Sakita says, ‘It takes as long as it takes’. And, as you know, quality definitely takes time. So over these past five years with what you’re doing now, HOW have you and your team been able to maintain the discipline and patience to keep going, even when you weren’t sure how things were going to work out? Kam: For me, it was very hard because you know you’re doing quality work and it’s like, at what point will it add up, will it make sense? And for us, my main thing was just sticking true to our process and what we do on our end because what we had already built was self-made and self-sustained. So if we’re able to do that, that was the only thing that really separated us – you can find some synergy and some partnership amazing ‘cause that’ll help us go further, right? Because that gives us something that we never had, which is an outside resource. And so for me, I always looked at that, as a ‘when it happens, it happens,’ [moment] but you know it’s human nature to get ahead of yourself. I am one of the most impatient people on the planet. So for me, it was always like, ‘Ok ok, you have to stay patient [but still respectfully persistent] because you’re leading a group of individuals into whatever endeavor that is. I kind of think the responsibility of that kept me patient. As you can see, timing is everything. And I just think that there’s a higher power that knows, that sees the thing in place. When opportunity is there, you have to be ready and that was my thing — just making sure that we were ready. With us entering that space coming out of a five anniversary, 50 shows, we’re a well-oiled machine. So now, that’s why everything is happening in real time, it’s going crazy and that’s just all product and timing. Who would have said that we would have did this two years ago? Because we weren’t this two years ago. I think it’s all trusting yourself and trusting your team obviously. I trust my team with anything and staying true, always having something foundational and really substantial to fall back on which was us and the work we had done. MK: I love this thought process of ‘we were a well oiled machine’ so that when it was time to start to pivot, you were already in a position to be at maximum capacity. And sometimes, when we are pursuing things, we’re not even ready for what we say we want. So at what point did you learn how important your process was and how it would later impact the bigger picture? Kam: I think for me, it was kind of like early 2015 because for the first time, I was forced to be patient about things that are out of my control. And when things are out of your control, as people, we always try to force them back into our control. But for me it was more so, what can I have control of? I can control my habits, I can control my attitude. I just looked at it as a time to get that process right. And if I was able to study my approach to all of this, then it would prove to be fruitful and helpful for everybody. I kind of feel like everything you do is connected anyway. Everything you do is connected to all of those things happening simultaneously. For me, those things got me to this point now and being able to just navigate this. MK: In terms of your following, you have a dedicated national audience. When you think of this partnership, what are you most excited about for your audience? I was trying to figure out my tagline, how I was going to push this and, what’s the best way to message this and people still get it. It’s a change, it is a change for us. For me, I gotta let people know it’s the same thing, it’s still the same party, the same crew but we are playing by new rules. But them hearing the narrative of buying into your own and supporting your own…they hear that and now for us, people who look like them, people who are their age, people who are in their circles…now they see that. I’m just excited for them to grow with us and see what these things can be. It’s surreal to me. I still can’t believe it. I am excited to get to work and get it to where it needs to be. MK: We also live in this investor culture and sometimes that takes away from the power of ownership, especially with the brands built by us – we seem to leave that out of the conversation. I was excited to see that you didn’t just give it away. Why was the partnership route the way to go for you and what’s now, Dussepalooza? Kam: I listen to a lot of Jay-Z. It’s easy to get blinded by the lights of certain things, of certain brands and people, but for us, ownership and walking into this as a partnership is equally beneficial for both sides. D’USSÉ is the number two cognac, obviously wanting to be number one. They have a lot of growing to do. Us, as this traveling boutique festival, we have a lot of growing to do but we can do it together and I sense that it’s really 50-50. We just do what we do, you do what you do and together we’re going to make something incredible. And for me, that was the main thing, keeping what we have and building this thing out. I see this now. 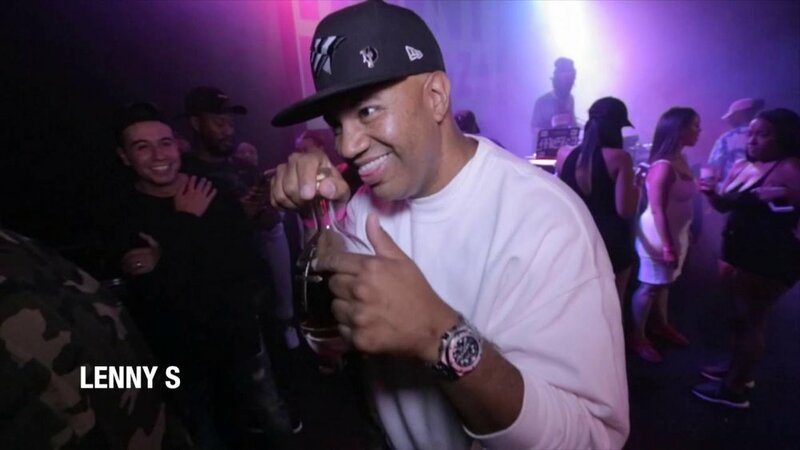 As I would say before, we could do a Hennypalooza for another two years but this…I don’t really see an end. It’s almost taking on a new life again and who knows where we could go with this now. We can go higher. It’s an amazing feeling. It’s an amazing time. It’s good to finally be in a space with someone else who gets it. That’s always been the thing with me, coming from corporate, brands just don’t get it. And it’s our culture; we should be able to speak for it, but also, we should be able to be at the forefront of the conversation. We should be controlling it and I believe this will give us the ability to do just that. PreviousPrevious post:Datwon Thomas: Respect The ScribeNextNext post:Jade Broomfield, ’17, has Two Jobs. She Likes it That Way.